With 140 food items, this is the most thorough food allergy test that checks for almost everything in American diet (including milk, dairy, meats, peanut, grains, nuts, fruits, vegetables, beverages, herbs, spices and many more). Want to try for fewer foods (96 items)? Try a Basic Food Sensitivity Test. Markers tested: IgG response to 140 food items. 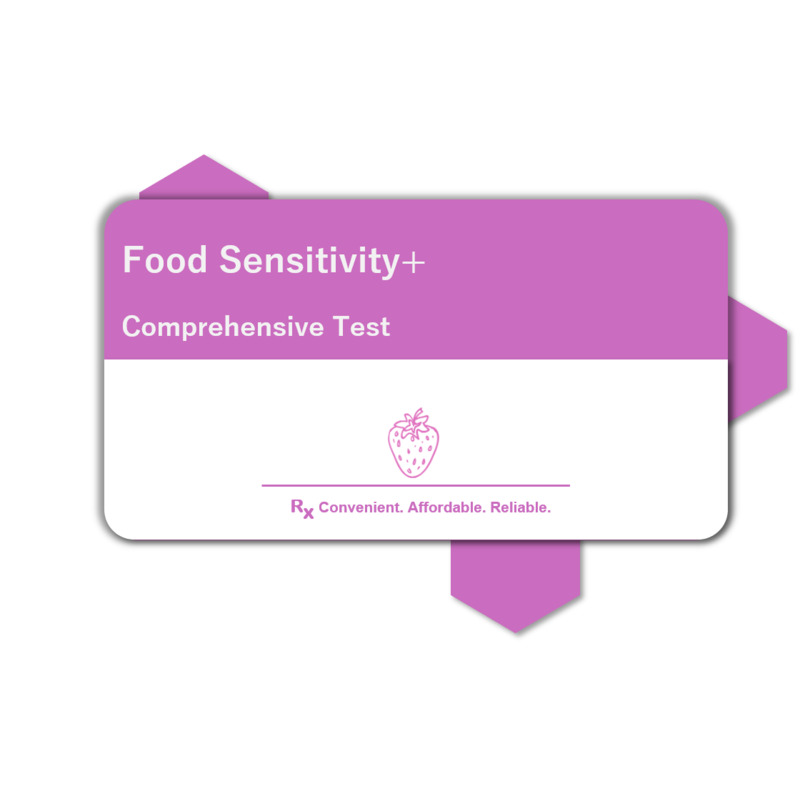 What is a comprehensive food sensitivity test? Unlike a food allergy test, a food sensitivity test measures the subtle response of body’s IgG antibodies to common ingredients in the food. These are the foods that may not be making you sick but uncomfortable when ingested. The comprehensive food sensitivity test includes most of the commonly found ingredients in American diet. Once you find out that your body is producing immunoglobulin G (IgG) protein antibodies in response to certain foods, you can reduce or eliminate the consumption of those food items. The food sensitivity is measured on scale of 1 to 6 (one means no sensitivity and 3 means high sensitivity). What food items are tested in a comprehensive food sensitivity test? The easiest low-cost way to get tested for comprehensive food sensitivity is from the convenience of your home. Simply order a food sensitivity test kit, collect the sample at home, ship it for free to our world class CLIA-certified labs, and find out your results in less than a week. You can also order our basic food sensitivity test that tests for 96 different food items in American food diet. A: Except New York, and Pennsylvania this test is available in all 48 states. State regulations in NY, and PA do not allow us to ship the tests to their residents. A: The kit contains a blood card to collect few drops of blood, a pair of lancets for finger-pricking, instructions on how to collect the sample, and a form requesting basic information including date and time of collection. The directions are straight forward and easy to follow. Our at-home comprehensive food sensitivity test kit can help understand your body’s response to large number of food items. The comprehensive food sensitivity test can help you find the root cause of dietary problems. RxHomeTest.com processes your at-home comprehensive food sensitivity tests at the same world class CLIA-Certified labs that doctors use. You can order the comprehensive food sensitivity test kit online, without requiring a doctor’s visit or prescription, which saves time and money on visits to the doctor and the lab. Our at-home comprehensive food sensitivity test kit needs just a few drops of blood using a finger prick instead of vials of blood–great for those afraid of drawing blood using needles.